Our community is grieving together over the loss of a little life this week. The card I have to show you is the kind of card you never want to have the occasion to send. The mom was a student of mine in Grade 4 and 5, and she is close in age to my daughters. She and her husband have a two and a half year old son, and four months ago she gave birth to another little boy. He was the sweetest little infant, but he was born with a heart defect, which they suspected before the birth. What they didn't know was that the defect was more severe than anticipated and would require a heart transplant in order for the baby to survive. Well, they treated the little boy as best they could and settled in to wait for that phone call that would provide a heart for their son. They waited four months, all of it spent in Children's Hospital, but sadly, the phone call didn't come in time and their baby passed away last week. What makes this story so inspirational is the way that the parents handled the whole journey. They were full of faith and love and were so generous in sharing the details of their story. We had lots of photos of their beautiful little boys and we were all praying for a much different outcome. 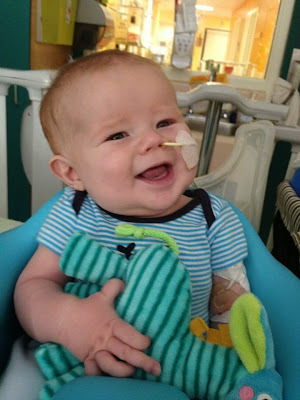 Because of their situation, they were able to pave the way for all babies in BC who need a heart transplant to be able to have it right here in BC instead of travelling all the way to Edmonton or Toronto. And as the tributes and testimonies pour in, it is clear that God was able to use that tiny little life to impact many in the community and beyond. You can find out more about the family here: Caring for Baby Miles. I hope you don't mind if I don't provide the card recipe this time, but I don't want to sell any product through this tragedy. I just wanted to pay tribute to an inspirational family and their beautiful little boy. Beautifully written. Heather. And a very fitting card for baby M.
So sorry to hear about their loss. My cousin was blessed to receive a heart for her little boy. He's now recovering at home. (Pray for Caleb on FB; I think you've seen some of their posts I've shared.) Perfect choice on the stamps, I'd say. Praying for this grieving family.